This canon PIXMA MX892 printer is designed for home and office uses. This printer is a user friendly and easy to use printer. It’s speed is much better. Built in Wi-Fi is available in this printer. This lets you wirelessly print photos, emails, web pages, documents and more from compatible iPad, iPhone or iPod touch devices to a compatible Canon PIXMA mx892 Wireless All-In-One printer. Canon pixma MX892 printer maximum color resolution is 9600*2400. This All-In-One printer gives you a good quality of prints or outputs. This canon pixma MX892 printer driver is available for windows xp, windows vista, windows 7 and windows 8 32bit & 64 bit. You can download this printer driver from Canon mx892 official website. I love this. It was so easy to download, and that amazing coming from me. It’s perfect no joke. You can download it’s installer from above links. I can make printing but no scanning in my Apple Macs. Can I download the driver for scanning in my Apple Mac . Very good. iam downloading now. I have windows 10, what do I do? So sorry for the inconvenience that you were facing. Thank you so much for inform us about windows 10 drivers was not available on our download page. We just have updated our Canon Pixma MX892 driver download page with all latest drivers. We have added windows 10 and 8.1 printer drivers. 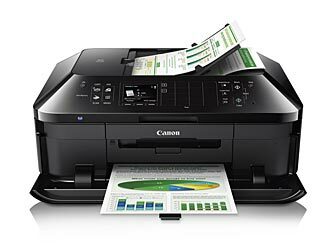 Now you can easily find the driver download link to download Canon MX892 printer and scanner drivers for windows 10. Go to the download section to download drivers. We recently bought a new computer with Windows 10, our old computer was upgraded to Windows 10 and our Cannon MX892 was able to scan documents and store them as a PDF. Since we bought the new computer and hooked up the Cannon MX892 we are no longer able to save a scan as a PDF file. Is this a bug with Windows 10 or am I missing a driver? I have downloaded both on this website but it has not helped. Ok, We recommend you to scan the document from canon own scanning software because this feature is in the own software instead of Operating system feature. Could you please tell us, from which program / software you were scanning on old computer and now from which software you are scanning on windows 10 new PC. Is that canon official software or windows own utility to scan. Normally, you get this “save to pdf” option through its own software.